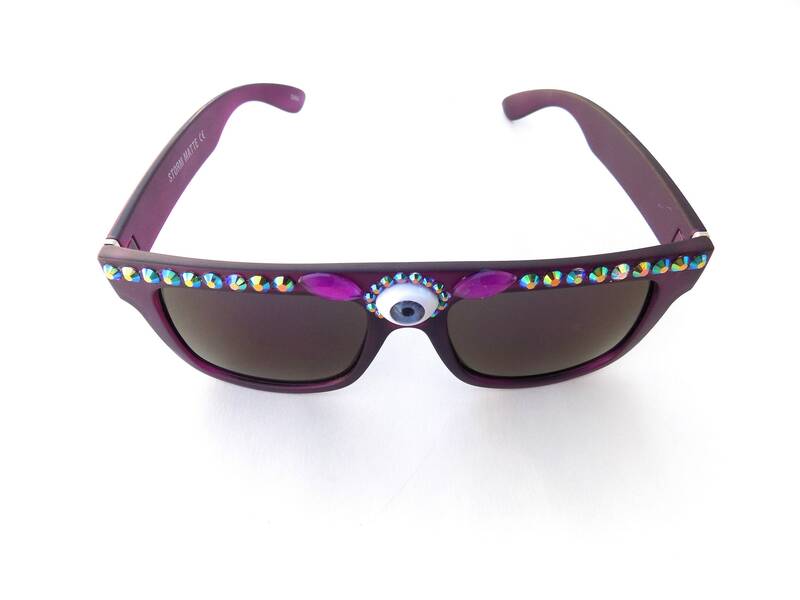 Beautifully decorated sunglasses have a third eye in the center (blue iris) with iridescent jewels growing outward from the eye. 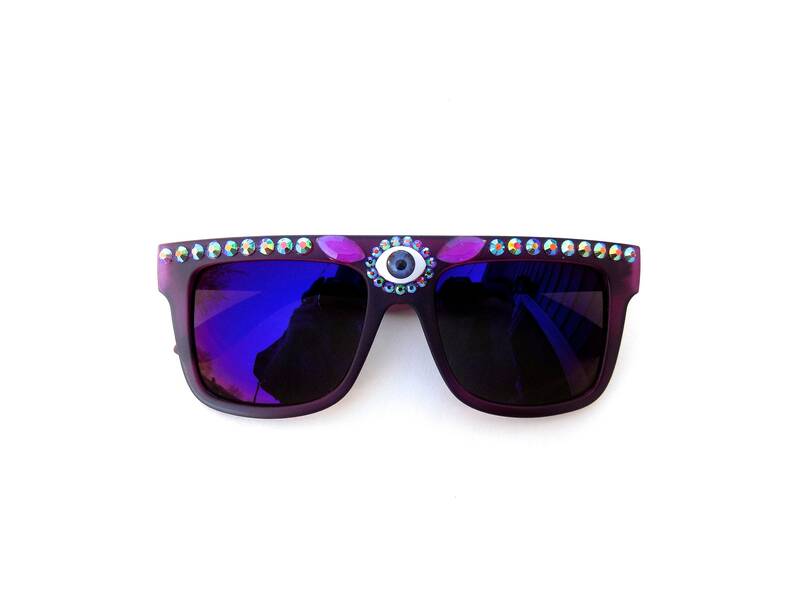 These durable frames are purple plastic with purple mirrored lenses. All decorations have been fastened carefully with industrial strength glue. 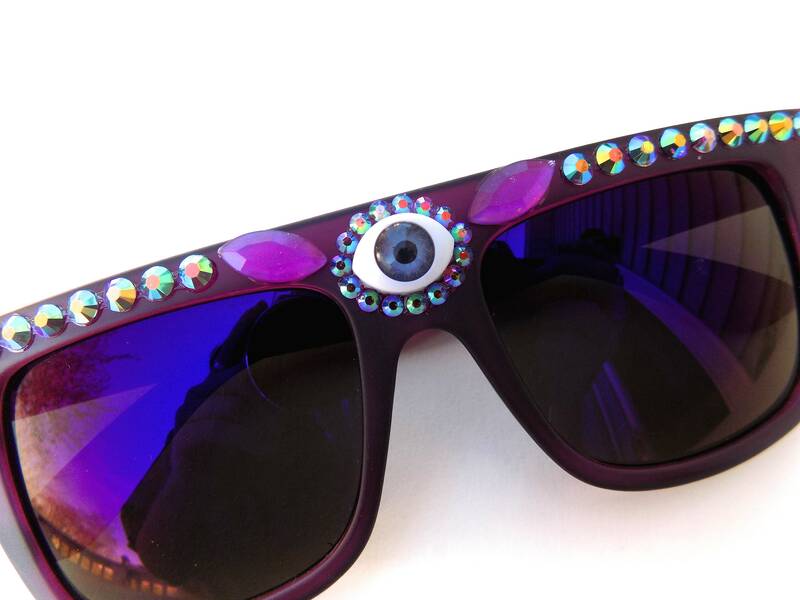 These are a great statement piece for everyday wear, or bust them out at music festivals or burns when you're feeling a bit more adventurous.